At the ongoing IFA expo in Berlin, Microsoft announced that it’ll drop the Fall Creators Update for Windows 10 on October 17, along with support for mixed reality hardware and software. 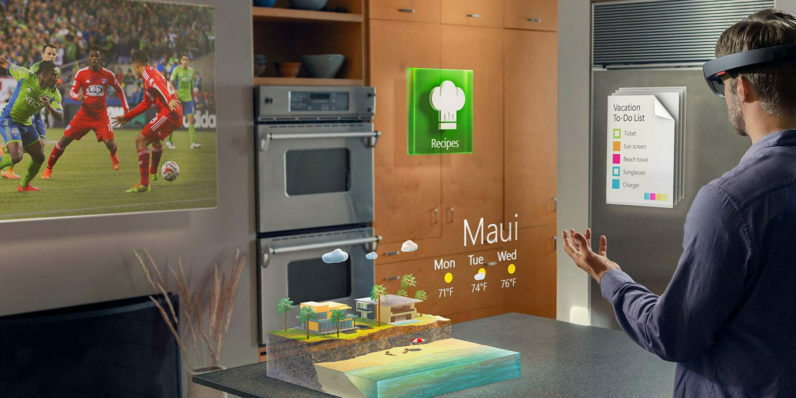 The company has been harping on about MR for a while now; besides its HoloLens headset, the company is rolling out its Windows Mixed Reality platform to support hardware for MR experiences with this update. That includes cheaper headsets from third-party manufacturers like ASUS, Dell, and Lenovo. The company says these will start at $299 and will be available as soon as the update ships in October. Options from Acer and HP will come with motion controllers. Microsoft says that you’ll also be able to experience MR without a headset: using your webcam, you can view 3D objects – either downloaded from the Remix3D.com community or your own Paint 3D creations – blended into your actual surroundings. You can then snap pictures of these scenes to share online. The fourth major Windows 10 update also packs a bunch of other notable features, including AI in Windows Inking to improve your drawings and automatically create tables from hastily sketched boxes on touchscreen devices; the ability to interact with OneDrive files in the cloud as if they were already stored on your PC, and cloud intelligence to increase security with Windows Defender. It’ll also introduce Eye Control, a feature designed for people with Lou Gehrig’s disease that lets them type and use a mouse with just their eyes. A few smaller updates, like a cross-device Clipboard, a Continuity-like feature to pick up where you left off on other apps, and the Fluent Design system to give the OS a new look, are also expected. That’s a nice bunch of new tools to look forward to next month. We’ll be sure to dig into the update extensively when it arrives, so stay tuned for tips and tricks soon.